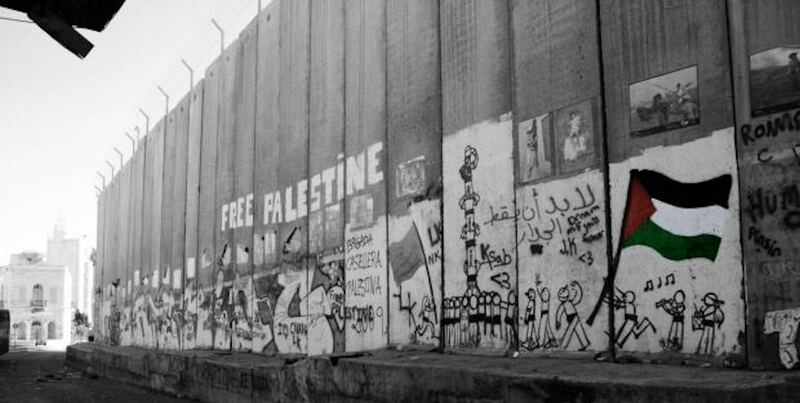 In our last op-ed for #IsraeliApartheidWeek, MICHIA MONCHO looks at the tactics defenders of Israeli apartheid use to deny the horrible truth. Following in a long history of white South African apartheid deniers, Israelâ€™s apologists wrote in several South African publications during this #IsraeliApartheidWeek defending the Israeli regime against the label of â€˜apartheid stateâ€™. Many of their columns not only conveniently ignore the truth about Israelâ€™s constitutionally enshrined hierarchy of human value, but also employs a favourite tactic of the Israeli lobby: pointing fingers rather than solving problems (What about other Arab countries?). Their core critique of the logic of calling Israel an apartheid state is rooted in their own inability to see complex and evolved ways in which Israelâ€™s regime of propaganda has sold, packaged, and concealed the truth of its discriminatory policies. While the Israeli lobby may point to a mythical legal structure enshrining a blanket set of equal rights for all people in Israel, the reality is that not only did the Knesset (Israeli Parliament) vote against an equality clause in the stateâ€™s resolution on Human Dignity and Liberty a few years ago, but the Israeli legal structure explicitly provides that rights may be violated â€œby a law befitting the values of the State of Israelâ€. The values referred to here, as senior Israeli officials openly admit, are the values of the Jewish people, not the values of the democratic stateâ€™s citizenry. Loopholes abound in Israelâ€™s fabricated legal infrastructure of equality, whether they be clauses that defend housing discrimination based on â€œincompatibility with the social and cultural fabricâ€, or divide families and separate spouses for, in the words of former prime minister Ariel Sharon, â€œdemographicsâ€. They invest a great deal of time in discussing the treatment of Palestinians within neighboring territories. After ignoring myriad human rights violations within apartheid Israel, they suddenly transform into vigilant defenders of Palestinian human rights in other Arab nations. It brings up an important question: are they writing in the name of truth and justice for all people? Or are the human rights of Palestinians simply one of many political tools employed to blindly defend Israel? If Israeli apartheid apologists are, in fact, interested in human rights across the region, perhaps it would be important that we discuss Israelâ€™s involvement in fomenting and arming violent genocidal conflicts across the Middle East, North Africa, and recently the ethnic cleansing regime of Myanmar. Their so-called â€˜only democracy in the middle eastâ€™ has a heavy hand in barricading the acquisition of rights by anyone outside its borders. Further, they invoke domestic xenophobia in SA as a means to silence critiques of the Israeli regimeâ€™s systematic and institutionalised racism against African migrants. While it is, first of all dishonest to compare an issue rooted in public wrongdoing, as xenophobia in Soputh Africa is, to one of explicit and calculated government action, as apartheid-policies in Israel are, it is also simply irresponsible. In South Africa, our state has mechanisms in place by which it actually intervenes in racially motivated or xenophobic violence. In Israel, the opposite is true. For them to turn a blind eye to the obvious parallels between South Africaâ€™s dark history and Israelâ€™s vile present is ludicrous. The bantustans of South Africa are being reconstructed in the occupied Palestinian territories while innocent civilians are robbed of land, resources, and freedom as they live under brutal Israeli military rule. In apartheid South Africa, Black, Indian and Coloured citizens had access to second-rate hospitals and schools. In apartheid Israel, however, Palestinians are often denied access to either, dying of preventable illnesses after being barred from traveling for life-saving treatments abroad. To me, calling Israel an apartheid state is not a matter of political positioning, it is a matter of truth. To appropriately label the state as an â€œapartheid stateâ€ is a step forward in addressing and fighting the institutionalised violations of human rights the state perpetuates against Ethiopian Jews, innocent children, African refugees, the Palestinian people at large, and countless others. It is my hope that as we commemorate Human Rights Day in South Africa, that the Israeli lobby and Israeli apartheid apologists will stand with peace and justice loving people of South Africa and the world as we fight for the human rights of all peoples across continents, not simply when it is convenient for political theater. Michia Moncho is one of the 2018 #IsraeliApartheidWeek Convener. She is from the diamond capital of the country, Kimberly, where she has been involved in youth and gender activism for over a decade. Moncho dislikes romantic comedies but firmly believes in Che Guevaraâ€™s words that a â€œtrue revolutionary is guided by a great feeling of loveâ€. Its this love that has driven Moncho to champion international struggles like that of the Palestinians. Find her on Twitter @IAWSouthAfrica.